Today is the anniversary of the first completed ascension of Mount Everest, which took place on 29 May 1953. To celebrate, I thought I would pull out a few stories of Everest, which of course mention its most infamous inhabitant, from several of my favorite sources. 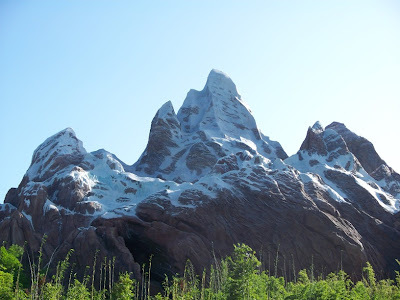 Along the way, I also thought we’d take a gander at some of my favorite aspects from Serka Zong and Expedition Everest. Would those quotes from "Expedition Everest – Legend of the Forbidden Mountain: The Journey Begins" be from your Joe Rohde autographed copy? I have one of those too! Yea us! Expedition Everest is one of my favourite rides, probably because of the amount of detail that has gone into the overall theming. What a great angle to look at the attraction - yet another informative and interesting post - thanks Ryan! Everytime I do a piece on Everest, I think I've just about covered everything, and then I always find more interesting pieces to bring it all together even more. The research that Walt Disney Imagineering did on this attraction is mind-boggling, I only hope that these articles, in some way, do it justice.